Alonzo Mourning’s new book “Resilience: Faith Focus, Triumph” with Dan Wetzel. This is an excerpt of NBA star Alonzo Mourning’s new book “Resilience: Faith Focus, Triumph” with Dan Wetzel. The book details Mourning’s rise from foster care to NBA stardom before kidney disease changed everything. And this from a dad who found Zach unresponsive at the tender age of three weeks old, rushed him to a small- town Ohio hospital, had doctors set up a medical helicopter to a bigger facility in Toledo, and was told, brutally, "Don’t expect him to survive the airlift." Zach did survive, but his was a difficult life. He was in and out of hospitals, doctor after doctor, treatment after treatment, surgery after surgery, infection after infection. One thing and then another; every solution brought a new problem. He suffered from chronic kidney failure, and by the age of eight the self- conscious boy had scars all over his body and two six- inch tubes coming out of his neck to serve as a temporary catheter; then, at nine, he started regular dialysis. The schoolkids were predictably cruel. Eventually doctors settled on a transplant. Brian, thirty- five, a tough machine repairman at an aluminum factory, was a perfect match. The transplant took place on Valentine’s Day, 2007, at the University of Michigan hospital. For nine days, the kidney worked. Then it didn’t. Vascular rejection, the doctors said; the worst possible kind. And so Zach stopped eating. Doctors had to tube- feed him. "He thought the transplant would be it for him," Brian said. "When it didn’t happen, he was really depressed." No one knew what to do, what to say. In a small- world way, they found someone who might. Brian’s older brother worked with a guy who knew another man whose mother, Shari Rochester, was Alonzo Mourning’s assistant. The story got to Shari and she told Alonzo, told him about the vascular rejection, about the not eating. Alonzo said, "I have to meet this kid." The Miami Heat were scheduled to play at the Detroit Pistons in a few days. Alonzo set it up so Zach, who hadn’t left the hospital in six weeks, and Brian could visit him at the game. A doctor came along, just in case. On April 1, outside the Detroit visitors’ locker room just before the game, they wheeled small, frail Zach in front of big, strong Alonzo, two transplant survivors, two kidney patients sharing a look of mutual understanding and respect. Then Alonzo knelt down and flexed one of his massive biceps at the awestruck kid. "You want some of these, you’ve got to start eating," Alonzo said. "I had a transplant too, and look at me." They talked some more. Took pictures, signed autographs, and exchanged phone numbers. Then Zach got wheeled out to courtside seats and stunned everyone. He asked his dad for a hot dog. – Brian Mossbarger on Alonzo Mourning. A hot dog? Yes, the boy needed to eat, but something as nutritiously empty as a stadium hot dog? The doctor shrugged. "Go for it. It’s something." Brian got Zach a hot dog. Then a half hour later Zach asked for nachos. A large order, no less. Brian got Zach nachos. Back at the hospital everything seemed to change. The kid ate. The kid smiled. The kid started thinking positive. "He had been so down," Brian said. "Then it all changed." Three weeks later, doctors tested his creatinine level—the key stat for all kidney patients, where the lower the number the better. Zach had been hanging around a too- high 2.1. The test came in at 1.6, an incredible improvement. Unbelievable, really. So they tested again. The creatinine was 1.6. Again. Over a month after rejection, was this kidney finally working? Dumbfounded, the doctors huddled and decided to push the issue. They took Zach off dialysis, just to see. The next day he registered a 1.1. The next 0.8, normal for him. No one knew how it could have happened. Within days, Zach was out of the hospital. "How do you thank a guy like that, who has no clue who you are but steps into your life and helps out, calls, prays, offers advice and hope? What can I say about him?" Brian said this from the side of a fishing hole in northwest Ohio, his old kidney going strong in his son’s body. Dusk was coming fast and father and son were having a long, carefree time. The ten- year- old boy looked like any ten- year- old boy, laughing and jumping around as he caught a bass. "You just have to stay positive and believe and never lose hope," Brian said. "That’s what I’d tell other parents. That’s what Alonzo kept telling me." With that he went and unhooked his son’s fish. In the following excerpt, Mourning recalls a day that changed his life. Your life can change in a single instant, at the most unexpected time in the most routine manner. One second you have a list of concerns and challenges and plans to deal with. The next second that all seems trivial and God is laying down a challenge—a challenge you never saw coming. Mine came courtesy of a ringing telephone while I was asleep. I was taking a rare midday nap. Unless it was a game day, I was the last guy to spend the afternoon sleeping, especially with another NBA season to prepare for. But I was exhausted, suffering from what I believed was a combination of a lingering flu and extreme jet lag. At my doctor’s suggestion I had gone in for some medical tests, a precautionary biopsy, but I didn’t believe anything serious was wrong, maybe a thyroid condition, or a virus. Maybe I was just ignoring the signs, but I really wasn’t very concerned. At worst, I figured, I’d take some pills and get back to getting ready for the fast- approaching NBA season, one in which I had my eyes on winning the championship. After all, I was the healthiest person I knew—thirty years old, six foot ten, 255 pounds with just six percent body fat. I benched over three hundred pounds with ease. I worked out with hundred- pound dumbbells. I was a professional athlete, coming off a season where I was first team All NBA, a runner-up for NBA Most Valuable Player. That summer I had been named USA Basketball Player of the Year after we won gold at the Sydney Olympics. With defense as my specialty, my reputation as a player was as perhaps the toughest and hardest- working one in the entire league. At that point, in September of 2000, I felt invincible, like I could leap tall buildings. Nothing ever fazed me. I kept telling myself, even after my doctor had suggested those tests, that I was just under the weather, the understandable fallout of recent events in my life. A grueling NBA season had led straight into summer with the Olympic team. At the same time, life at home was blessed but hectic. My wife, Tracy, was pregnant with our second child, and part of the deal I made with her was that I could fulfill my dream of being an Olympian as long as I promised to make it back for the birth. I tend to push things and believe everything will work out, so we had looked at the Olympic basketball schedule, found a couple of open days and decided to have the labor induced on a Saturday right in the middle of the games. That way, I could fly back to Miami with my mother- in- law and my first son, Trey, be at the birth, and then fly back to Australia and not miss a single game. USA Basketball was on board with the plan and NBC was even going to send a camera crew along. Nothing makes for great television like a new baby. It was all set. But two days before the induction, the baby decided to come anyway. My wife started feeling labor pains and was in the shower singing to her, "Baby girl, wait for Daddy. Wait for Nana and your big brother." By the time she got out of the shower, though, she knew she couldn’t wait. She called me and said, "Look, it’s time; it’s coming." I dropped everything. We grabbed the next flight from Sydney to Los Angeles— fourteen hours in the air—and then jumped on a plane from L.A. to Miami, which is six more hours. The trip from L.A. came on the private jet of the owner of the Miami Heat; if he hadn’t been so gracious, we probably wouldn’t have made it. That trip seemed to take forever. The last few hours, my wife was in the delivery room still singing to the baby to "wait for Daddy, wait for Daddy," but it was getting close. We finally showed up, I went racing in and my wife was just bawling because she couldn’t believe we had made it. Within half an hour Myka Sydney—named after the town hosting the Olympics—was born. It was one of the greatest moments of my life, holding this little baby girl in my big hands and gaining that immediate love that only being a parent can provide. I was so overwhelmed I forgot to even be tired. Talk about a whirlwind. I have so much faith in God, I never worried that I would miss the birth. It seemed perfectly reasonable to me that I arrived from the other side of the world, camera crew in tow, with twenty- five minutes to spare. We all spent a great night together and then, less than twenty-four hours after reaching Tracy, I headed back to Australia where I arrived just in time for the medal rounds. I was exhausted but managed to play well. We won the gold, and my lifelong dream was fulfilled. I returned to Miami and a house with a newborn, which isn’t conducive to sleeping off jet lag. All things considered, I kept telling myself, I had every right to be tired. I was being naïve, of course. This was more than jet lag. The truth is I had been fatigued all summer. Later my doctors couldn’t believe I was even walking around, let alone winning a gold medal. My cholesterol level alone was between 500 and 600. I was fidgety and my muscles were taking on more water than usual. One day at the Olympics I was getting stretched out and my leg looked swollen. I pushed into the leg and it left an indentation. I said to the trainer, "What the heck is this?" He told me I needed to get it checked out. But still, I was so unconcerned I never even told Tracy about it. She was busy with the baby, anyway, and I just thought, this is nothing. Back in Miami, I decided to go to the hospital for some tests. My agent, Jeff Wechsler, was driving when I passed out in the passenger seat. I had a temperature of 104. I was very weak and depleted. But it still didn’t dawn on me how sick I was. I wouldn’t allow myself to admit it. I had training camp coming up and I knew the physical challenges ahead would be brutal. Which is why the voice of my doctor, Victor Richards, on the phone the next day made me sit up in my darkened bedroom. He said he had my test results and without hesitation he unloaded it on me. "Alonzo, your creatinine level is pretty high," he said. Before I could even remember whether that was a good or bad thing (I thought it was bad), he said, "You have a rare disease called focal glomerulosclerosis." I didn’t understand what he was saying except that something with as many syllables as "focal glomerulosclerosis" couldn’t be good. As a player I’d either experienced, or seen teammates experience, countless surgeries, medical treatments, injuries, and general ailments. Never had I heard of focal glomerulosclerosis. "What did you say?" I asked. "What do I have?" "You have a kidney disease called focal glomerulosclerosis," Dr. Richards said. I was completely awake now. "You’re going to be okay." "Well, will I be able to play basketball again?" "There’s a cure for this, isn’t there?" He might as well have hit me with a baseball bat. No cure? What did that mean? I remember dropping my head into my hands; I was trying to grasp it all. Had Dr. Richards really just said there was no cure for this disease I had never heard of? If there was no cure, how was it up to me to play basketball? What would I tell my wife? What would I tell my son? What would I tell my baby girl? Would I ever be able to play with them and watch them grow up? And how could—of all things—my body, my strength, my health, the one thing that never let me down, now be called into question? Trey, Myka, and Mourning right after the Olympics. At the same time, everything was moving so fast and so slow; my mind was racing while my stomach was churning. "You’re going to need a kidney transplant," Dr. Richards continued. This guy was incredible. He just kept coming with the bad news. A transplant? "Ten to twelve months you’ll be on dialysis and you’ll be up for transplantation." At this point, I didn’t even know what Dr. Richards was going to say next; he was just lobbing SCUD missiles in on me, and I was just taking them. One minute ago I had been convinced I had the flu; I thought I just needed a long nap. "Dialysis?" I said. "What is dialysis?" I was just freaking out. Dialysis seemed like something for old people. Victor was trying to explain but all I could think was Transplant? Did he say ‘transplant’? Dr. Richards said, "Well, you know we’re probably going to have to interview some family members and you might need another kidney." Another kidney? Obviously that is what a transplant entails, but it takes on a completely new meaning when you hear it said about your own body. Another kidney? Someone else’s kidney? In me? I didn’t know what to say to Dr. Richards. I didn’t even try. He had just laid it out, painfully honest. I actually appreciated that; I’d rather know up front. He finally said he wanted me to come in and discuss the situation further. I thanked him, hung up, and put my head back in my hands. I had a whole bunch of stuff going through my head now. I didn’t cry, not one tear, although little did I know tears would come in buckets as this process played out. Instead I just sat there thinking. This was so out of nowhere, so impossible to imagine. I thought the biggest challenge that coming year would be juggling the sleepless nights that come with a newborn while battling Shaquille O’Neal and Tim Duncan and pushing the Miami Heat to the NBA Championship. Now points and rebounds were about to become secondary to hemofiltration and leukocyte antigens. Not that I knew those words yet. Less than a minute after I hung up the phone, Tracy came to check in, and after one look at me sitting on the edge of the bed with my head down she knew something was terribly wrong. I had probably never sat that way in my entire life. I was the kind of person who attacked everything head on. All great athletes are—no secret there. When challenged, you fight. When that isn’t enough, you fight harder. I grew up in a working class family in Chesapeake, Va. My parents were still teenagers when they had me. When I was ten, my parents’ marriage began to deteriorate, and eventually they divorced. In the interim, life at home became very difficult, very emotional. It wasn’t the worst situation in the world, and my parents were both great people, but the atmosphere was not good for me. Emotionally, I began acting out. I wasn’t normally a bad kid; I was actually a good kid. But all of a sudden I was in trouble all the time, and it was obvious, even to me, why that was happening. My parents and I went to a counseling session at the department of social services and that’s when I asked to be put into a group home for a while. Once I was in the group home, I saw kids with real problems, the kind that made mine seem like nothing. The place actually had a room with padded walls. There was a restraining chair and I witnessed hauntingly disturbing outbursts. But I still didn’t want to go home. Just because I wasn’t in the worst situation didn’t mean my parents’ place was a good one. So I stood in front of a judge and asked him to put me into foster care, as crazy as that sounds. I think he figured if a 10 year old had the courage to do that, he deserved to have his request granted. In the end, I got very lucky: I wound up with a woman named Fannie Threet, a local hero who as a foster mom helped raise forty-nine kids in Chesapeake. I was one of those children. Although I’ve reconciled with my parents and they remained supportive of me throughout, I never left foster care and never returned to live with either of them. Even then, I realized that no matter how great the challenge there is a solution to every problem as long as you don’t fear the path to the solution. That’s what made me who I am. By maximizing my athletic abilities, by assuring that I used basketball rather than having basketball use me, I earned a full scholarship to Georgetown University. And once I was there, that drive got me academically through one of the elite schools in the country. I wasn’t your typical Georgetown student. Most of the kids came from upper- class families; I came from foster care. Most of my classmates had attended fancy college prep schools; I just went to regular public school in Chesapeake. Most of them had two parents who graduated from college, if not graduate school. I was the first person in my entire family to get a diploma. I just wasn’t as prepared as they were. But as long as I worked on my studies, I could succeed also. One semester, pushed by my coach, John Thompson, who claimed I was shamefully underachieving, I even made the Dean’s List en route to my degree. It’s also the way I play basketball. I am a big man by general standards, but in the NBA, I often gave up four or five inches and sometimes fifty to seventy pounds to other players, guys like Shaquille O’Neal, my seven- foot- one, 350- pound chief rival and later teammate. Throughout my career I have prided myself on being an undersized center who can beat players bigger and stronger than me. I wasn’t the most naturally gifted player. So I had to outwork everyone else. When you’ve prepared harder than everyone else, it instills confidence. Strength is not just physical, it is mental. And if you are mentally strong you can accomplish anything. My faith is something that has also sustained me through the highs and lows, through the mistakes I’ve made and even through some of the triumphs. There have been a fair share of both, but there was only one time in my life—during my illness—when that faith came into question. As a professional athlete, I’d trained myself to power through, to never question my will to succeed. Resilience was a trait that served me well. But in the darkest days of this battle against kidney disease, it was tested like never before. I was still a large man in stature, but at times I was as weak and helpless as my newborn baby. That wasn’t a situation I could easily accept, and it rocked my faith in a way that, to me, was almost unimaginable. In the days, weeks, months, and years since then, that crushing moment became a sort of wake- up call. I now realize how grateful I am for it. I had to come to terms with my faith in ways that I never would have, had I not gotten kidney disease. I had to take the deepest possible look at my life, acknowledge each and every weakness, each and every mistake, and come to the realization that just because faith is in your head, doesn’t mean it is in your heart. God puts you in situations to test your faith, and it can only grow stronger as you overcome these hurdles. From faith comes resilience. Faith makes things possible. But as I would learn, it doesn’t make them easy. 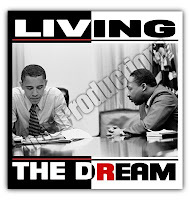 We do not believe the Dream is voting for Barack Obama just because he's black. A few years ago he wouldn't have been considered for the position; the Dream is that all men are created equal, and the fact that he has an opportunity to achieve his dream is the Dream. 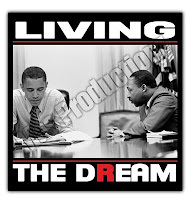 Part of the proceeds from shirt sales will be donated to the Obama campaign, we strongly urge you to visit BarackObama.com to donate and support as well. Three historically black colleges and universities are part of a group of seven institutions selected to receive research grants totaling nearly $35 million from NASA's Minority University Research and Education Program. Howard University, Morgan State, and Prairie View A & M and four other minority institutions will receive up to $1 million per year for a maximum of five years based on performance and availability of funds. The goal of NASA's Minority University Research and Education Program is to establish significant, multi-disciplinary scientific, engineering and commercial research centers at the host universities that contribute substantially to NASA programs. The awards will help to achieve broad-based competitive aerospace research and technology development capability among HBCUs and other minority universities. The grants will also increase participation by faculty and students of colleges and universities in research programs of NASA's mission directorates, and help increase the number of underrepresented minorities who obtain advanced degrees in NASA-related fields. How one of San Diego's most successful cocaine dealers became an award-winning chef [...] is the question that drives this sporadically inspired memoir. Henderson got his start dealing when his family moved to San Diego and he fell in with two street thugs. At age 25, after amassing a small fortune in drug money, Henderson was arrested, convicted and sentenced to 19 years in prison; once there, he discovered a love for cooking that gave him much-needed direction. After serving nine years, Henderson got an early release and began a series of grueling, occasionally demeaning jobs in kitchens, eventually working his way up to leading roles in Caesars Palace Hotel and elsewhere. Unfortunately, Henderson's story rings truest before he turns to the culinary; the fascinating level of detail in his description of the drug trade dissipates when it comes to the intricacies of working in and running a kitchen, lending his redemption a hollow feel. In addition, Henderson's casual reference to methods and equipment particular to the industry may leave amateur foodies nonplussed. While Henderson's achievements deserve recognition, this rushed retelling makes it difficult to fully appreciate his hard work. Adiva, Arabic for “pleasant” and “gentle”, was created as an all-natural alternative to single-purpose products with useless additives. Our creations only enlist the very best natural components and essential oils to ensure beautiful, healthy skin and hair. Unlike many of our competitors, we avoid adding inadequate ingredients, fillers and impurities and pride ourselves on the versatility of our products. Because of our natural ingredients, each product boasts a variety of uses, including: skin moisturizer, hair conditioner, and hot oil treatment! For Whole Sale Prices Contact Adiva for Quotes. About Us Ansylla’s natural hair journey began in 1997, when she transitioned to wearing and caring for natural hair. In October, 2000, Ansylla completed the Sisterlocks™ training course. However, it was not until December, 2001, after completing a Natural Hair & Braiding course did she begin working in a salon. In an effort to offer the best holistic hair care services, she also completed a certified herb specialist course and a School of Natural Health course. Desiring to share her knowledge of natural hair care, in 2003, Ansylla taught a basic natural hair care class through the Maryland – National Capital Park and Planning Commission at the Wayne K. Curry Sports and Learning Complex during the spring, summer and fall sessions. In October, 2003, My Hairitage Natural Hair & Wellness opened in Clinton, MD. Recognizing the demand for natural hair care professionals, Ansylla has offered Natural Hair and Advanced Loc Techniques workshops on a regular basis since August 2005. Several of the workshop participants have been empowered to start their own natural hair care businesses. Ansylla endeavors to share her knowledge about natural hair care and wellness, while encouraging persons to embrace ALL facets of their beauty. The Shule works to help students recognize the proper balance and placement of the self in relation to the group (i.e. class, family, community etc.). We value the richness of our community and the opportunity and challenges it provides for the education of our students. Under the guidance and direction of our dedicated faculty and staff, Ijoba Shule students gain composure, dignity and presence that will guide them throughout their lives. We trace our roots to the existence of the nations first segregated post-Bellum, one-room schoolhouses through to the growth of Independent Black Institutions (IBI) in the 1960s and 70s. We opened our doors for instruction in Fall 2005. In addition to our character-building and academic mission, The Ijoba Shule, as an outgrowth of Ile Iwa-Pele (House of Gentle Character) spiritual community, is fully committed to the sentiments and practices of traditional Afrakan values, which are integral to the life of the school and our community. The traditional influence manifests itself daily in the practice of libation, ancestral remembrance and respect and Pan-Afrakan confraternity to name a few. The Shule is under the care of Egbe Ijoba. At the beginning of the day and again at the conclusion, our students are provided several minutes to perform their silent breathing meditation, in the tradition of their Kemetic (Egyptian) ancestors. This is a time for not thinking, and instead quieting the mind and just being fully present in the moment. Our students are taught to listen to each other, and to think and work through challenges as a unit. Shule Saku, brings together the entire Lower School for collective decision-making and planning in a manner that strengthens the community. Inherent in the Shules belief that life should be lived in service to something greater than oneself, community service is an integral feature of our curriculum. Service begins in the Lower Shule with various classroom responsibilities and participation in Shule-wide projects. Students are provided time for personal prayer and worship consistent with the tradition that they observe at home. All of our students are encouraged to be spiritual- to believe in something greater than them. We believe that by providing such scheduled time that mutual respect for each others spirituality is enhanced, and each students life is enriched. Tired of pervasive media images that she said portrayed young African-American women solely as loose, gyrating, uneducated "hootchie mamas," Chicago mom Wanda Muhammad developed a television show to inform and inspire young people to make positive choices regarding health, education and careers. "They didn't have shows that showed them sounding articulate and about going to school," she said. "Usually, what they see is someone getting killed and becoming mothers out of wedlock." Wanda Muhammad is flanked by Rachinda Smallwood, the host of her cable show, and daughter Sumayyah Muhammad, formerly a director before going to college. Since the first broadcast in 2006, Muhammad has expanded the program, which airs on public access CAN TV's Channel 21, to include young males. She changed the name from "Let's Talk, Baby Girl" to "Shaping Young Minds." Involved teens work as hosts, panelists and in production. Show production alumni include a Harpo Studios intern, a Miss Teen Illinois/USA pageant contestant and an Eastern Illinois University communications major. Muhammad's daughter, Sumayyah, worked as director before going to college. Muhammad looks for sponsors for the career day-type broadcasts, but has been footing the bill herself. I'm Reagan Gomez, an actress, but I'm also the female lead in T.I. 's new music video Whatever You Like . I'm writing you today because what T.I. and I really would like, is if right now you made sure that all your friends and family are registered to vote! In many states today is the deadline to register to be able to vote on November 4th. 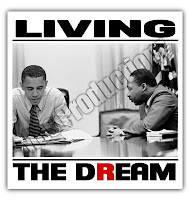 To find out the deadline for any state, see the State Registration Deadlines at www.hiphopcaucus.org. Forward this email to your friends and family, or fill out this webform - Friendly Reminder - to remind them to register. Better yet, call them up and tell them to go towww.hiphopcaucus.org and get registered before it's too late. Then print and sign the form, and and get it postmarked and in the mail by the deadline date in your state, or deliver directly to the address listed on your completed form. Let's send a message to the politicians - Respect My Vote!This campaign won't end on Election Day. We are already over a half million people strong, get involved by texting "OneVote" to 69866, we'll hit you back with important information about voting from some of your favorite celebrities. P.S. Rev Yearwood asked me to let you know about fellow activist and friend Van Jones, who has a smart, eco-friendly plan to jump start the economy. It would get millions of people working - in jobs that respect the Earth. He lays out his green fix in his new book: The Green Collar Economy, which goes on sale this week. Please take a look and get a copy of this critical book for our future. SAN BERNARDINO - In 2005, two dedicated teachers began offering special classes for black students at the Boys & Girls Club. They focused on creative writing and teaching students about their African American history. This school year, at the request of parents and after seeing a need to improve students' math skills, the Ujima Saturday Academy will mostly focus on building algebra and geometry skills in addition to language arts and college readiness. "Our primary goal is to raise math and English proficiency, and we will do that by tailoring kids to be successful in math," said Wil Greer, one of those former teachers, now a district program specialist in the Department of Equity and Targeted Student Achievement. The free academy, which plans to offer more in 2008-2009, is open to all students in the San Bernardino City Unified School District. Interested students must complete an application and sign a parent-student contract. A parent meeting is scheduled for 10 a.m. Sept. 27 in the Professional Development Center office at Carousel Mall in San Bernardino. Classes will be held from 10 a.m. to 3 p.m. on the first Saturday of the month at Arroyo Valley High School on Oct. 4, Nov. 1, Dec. 6, Jan. 3, Feb. 7, March 7, April 4, May 2 and June 6. There will be space in the classroom for 20 students in grades 8 to 10.
at King Middle School, who first noticed the need for such classes. "We recognized there needed to be some sort of culturally responsive structure to supplement our students' education," he said. And with the support of other teachers and community groups, they were soon teaching lessons in history and language arts to about 10 middle and high school students in a classroom at the Boys and Girls Club. By the 2006-2007 school year, they were running into parents who wanted the academy to offer more math instruction. In the fall of 2007 they formed the nonprofit Ujima Learning Solutions Inc., which partners with San Bernardino City Unified. In addition to the focus on math, scholarships will be given out to three students based on grades, academic improvement and community service. "I feel good about the year ahead," Greer said, "and we intend to help a lot of students." Black American Football player Ernie Davis, who became the first African-American to win the Heisman Trophy, will be commemorated by a statue at Syracuse University. The monument was unveiled Saturday, just a day after the premiere of the upcoming movie about his short but outstanding life and career. Also, a video of the statue unveiling was played during a ceremony at halftime of Syracuse's game against Penn State. At Syracuse's game against Penn State, director Gary Fleder and actor Dennis Quaid, who plays former Syracuse coach Ben Schwartzwalder, addressed the 45,000-strong crowd at the Carrier Dome. Friday night, former Syracuse players Jim Brown, Floyd Little, Art Monk, Don McPherson, and 40 members of the unbeaten 1959 team that won the national championship have attended the premiere of "The Express" at the Landmark Theatre, a biopic based on the authoritative biography by Robert C. Gallagher, Ernie Davis, The Elmira Express: the Story of a Heisman Trophy Winner. Rob Brown (Finding Forrester) is playing Davis and the screenplay was written by Charles Leavitt (Blood Diamond). Also, a dormitory under construction on the Syracuse University campus will be named Ernie Davis Hall. Ernie Davis, born and raised near Pittsburgh, moved to Elmira, New York at age 12 with his mother and new stepfather. Eventually, he was named a Small Fry All-Star in both 1952 and 1953. Following his graduation from Elmira Free Academy, he was offered scholarships by more than 50 colleges, at a time when many universities were not offering scholarships to blacks. Of the offers, he chose Syracuse University, where his outstanding three-year run between 1959 and 1961 gained him the respect and love of his teammates and of many others, despite being confronted with racism on frequent occasions. He is remembered as a remarkable athlete who was also gentle and humble. Ernie Davis became the first African-American athlete to be awarded the Heisman Trophy for the 1961 season during his senior year at Syracuse University. He was lauded by President John F. Kennedy on several occasions. Ernie Davis was the number one pick in the 1962 NFL Draft, the first black player to be taken first overall. Unfortunately, he was soon diagnosed with leukemia and died on May 18th 1963, at the age of 23. He never played a game as a professional. Davis was buried at Woodlawn Cemetery, Elmira, Chemung County, New York next to Mark Twain. Africa for Africans - Transforming conditions in Zimbabwe right now! Africa for Africans - doing it for ourselves! Transforming conditions in Zimbabwe right now! Today, Africans from around the world are joining the All African People's Development and Empowerment Project (AAPDEP), coming together as one people to bring our skills back to Africa and to restore our motherland. 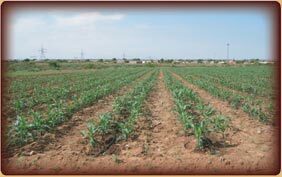 Our latest endeavor is the Zimbabwe Farm Irrigation Project. We need your help to raise $6,000 to get this project off the ground. Will you contribute? AAPDEP has taken on a project to construct a 50m deep borehole (pressurized well) for irrigation of a 25-acre section of farmland of the Ujamma Youth Farming Project (UYFP) in Gweru, Zimbabwe. For more than ten years, the people of Zimbabwe have endured severe hardship due to hypocritical economic sanctions imposed by the U.S., EU, World Bank, IMF and others in response to the movement of Africans in Zimbabwe to reclaim their land that has been occupied by white settlers whose ancestors stole it at gunpoint during the colonial era. Currently, Zimbabwe has an unemployment rate of around 80%, suffers the highest rate of inflation in the world, and has been hard hit by drought and lack of funds for farming initiatives. AAPDEP's participation in this borehole project will help to support the efforts of UYFP to provide valuable training, employment, and of course produce to the people of Zimbabwe. Established in June 2005, UYFP is an African youth-led farming cooperative that has secured a 100-acre plot of farmland in the city of Gweru under the Zimbabwe government's land redistribution program. 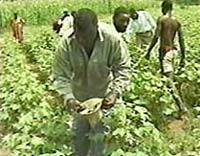 UYFP's mission is to empower African youth through gainful farming initiatives so that they are able to demonstrate the essential skills necessary to function as life long productive citizens of Zimbabwe's agrarian reforms. One of our immediate goals is to offer produce to wholesalers and retail outlets in and around Zimbabwe's midland provinces. A longer term goal is to establish a training program so African youth from outside of Zimbabwe and even outside Africa will visit, meet, train, work, and bond with their counterparts on the farm. African people do not need charity. We need self-reliance and self-determination! For 500 years now, Africa's labor and resources have built prosperity for Europe, the US, the Caribbean and everywhere else African people have been dispersed. Africa's immense human and material wealth must now benefit Africa! It is a dynamic Saturday school program that has recieved national attention. The Paul Robeson Academic International School of Excellence is housed on the campus of Johns Hopkins University. Like many non profits the school is struggling under the weight of a tight economy and that has founders reaching out to the public for help. The new fund raising campaign is called the 40/40 club. 40 African American men are being asked to pay the thousand dollar tuition for 40 students.